Australian starlet Karlisha Hurley joins "How to Identify a Serial Killer"
Karlisha will star alongside 'Harry Potter' actress, Ellie Darcey-Balden. The two are pictured here in this official pic released to media. 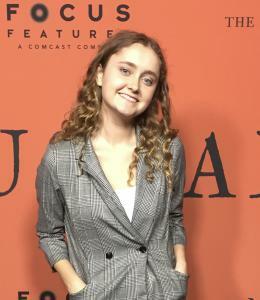 LOS ANGELES, CA, UNITED STATES, March 13, 2019 /EINPresswire.com/ -- Ventura Court Productions is developing a thriller series about a paranoid teenager Alice, who struggles to distinguish the difference between reality and her imagination in a world full of serial killers and murderers, particularly while living with her best friend Harriett. Karlisha Hurley ("Wrapped", Lifetime’s "Nightmare Tenant") is set to play Alice, a naive, charismatic 19 year old runaway with an obsession for serial killers and figuring out how to identify them. She is so obsessed with the topic she starts a blog which upsets at least one real crime reporter, Jemma, who despises her lack of experience and uncanny ability to stumble into crime scenes ahead of her. Alice’s constant snooping gets her into some sticky situations and brings up dark matters from her past that she never thought she would have to relive again. The role of Alice is expected to appear across the entire season, and the casting marks another collaboration between Hurley and May. 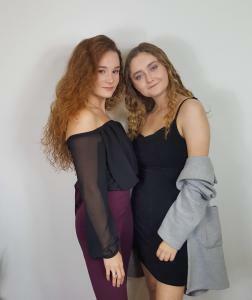 Ellie Darcey-Alden ("Harry Potter" and "Doctor Who") stars alongside Hurley as Harriett, Alice's smart, sensible flatmate and protector. While not close at school because of Harriet's other friends thought Alice to be too much of an outsider, the two become friends as neighbours when they are forced to share the same secret. Weaving her evil around Hurley and Harriett in this women empowered plot is Kylie Riddle (Nameless: Blood and Chains) in the role of Jemma, a 28 year old smooth, smart, calculating journalist…and killer. She does krav maga combat classes on her day off and can con her way into getting any story she wants… no matter what the cost, producers tipped. Hurley recently judged the Artemis Women in Action Film Festival which now includes a focus on women empowered films and became judge and Program Director of the Port Stephens Film Festival with a focus on bullying - positions that caught the attention of producers striving to work with more female actors who assumed positions of leadership in their industry. Delighted to be working alongside Hurley, Ellie Darcey-Alden said “Karlisha is a one-of-a-kind actress who will bring great truth to the role of Alice. Karlisha is repped by the Elev8 agency with both Nicole St John and head of Commercials Susie Krueger.